Combining tradition and modernity, Cartier’s flagship boutique was reopened at 175, New Bond Street in London on December 13th, 2018. 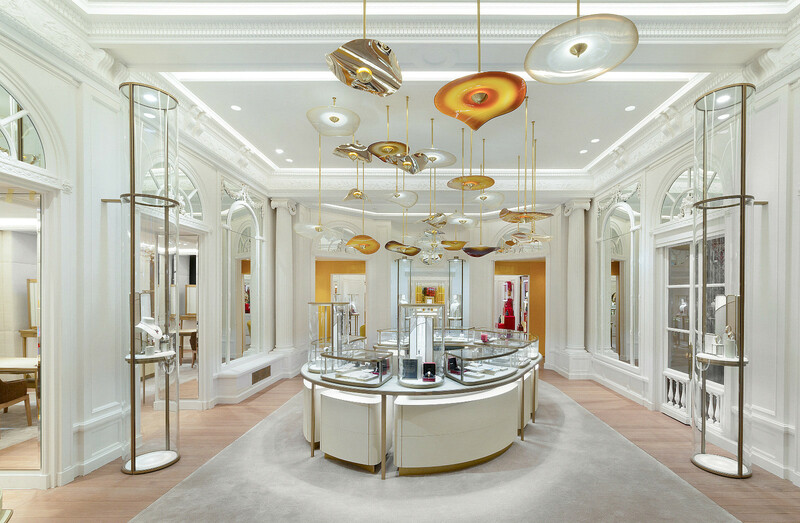 This five-floor flagship boutique is one of the three “temples” of the French jewelry house, alongside Paris and New York, demonstrating its prominence in Cartier’s retail realm. After nine months of renovation and years of planning, this retail mansion has been transformed beyond a boutique, providing a unique, luxurious and multi-dimensional customer experience, combining a shopping floor, a home, an event venue, an occasional exhibition space and more. 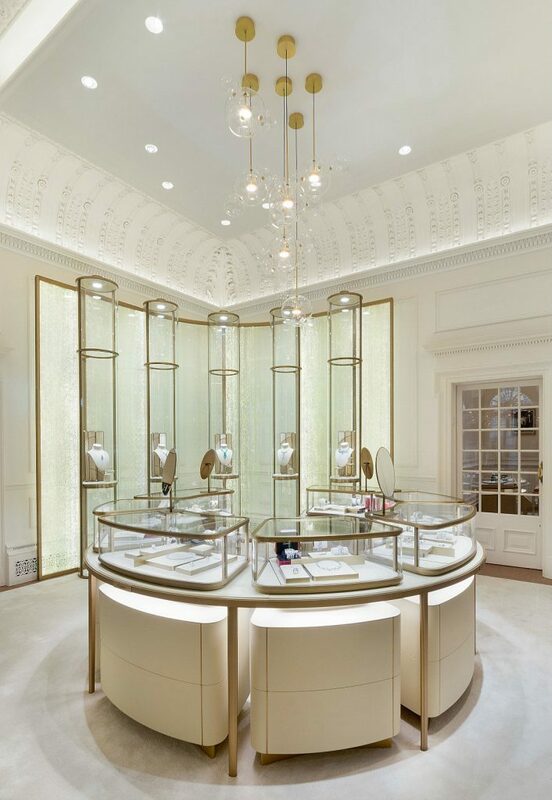 Cartier’s meticulous design, exquisite craftsmanship and intimate connection with the U.K. are reflected in every detail of this flagship boutique in London. 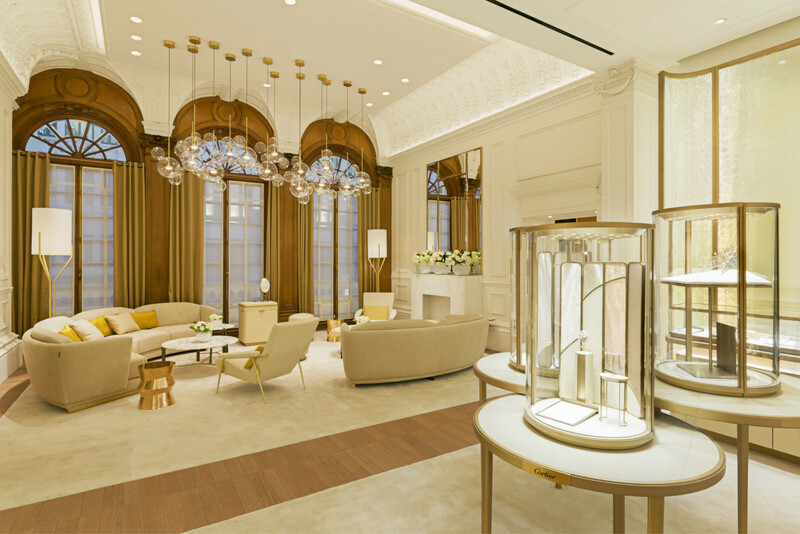 Luxe.Co recently had an exclusive tour and interview with Mr. Laurent Feniou, Managing Director of Cartier U.K. to discover the stories behind the transformation of this palatial boutique. “Bond Street is nearly at the beginning of Cartier,” said Mr. Feniou. First established in London in 1902, Cartier moved into this building in New Bond Street in 1909. This was the first boutique outside of Paris for the French jewelry house. Walking into the boutique today is like entering part of Cartier’s history. The archives on the top floor contain records of more than a century of Cartier creations and documents of its heritage with British royalty and élites. King Edward VII described Cartier as “the jeweler of kings and the king of jewelers” and awarded a royal warrant to Cartier in 1904. 20 tiaras were made by the workshop for various clients around the time of the coronation of George VI. Today, the house continues to host the annual Cartier Queen’s Cup polo tournament and Cartier Racing Awards. 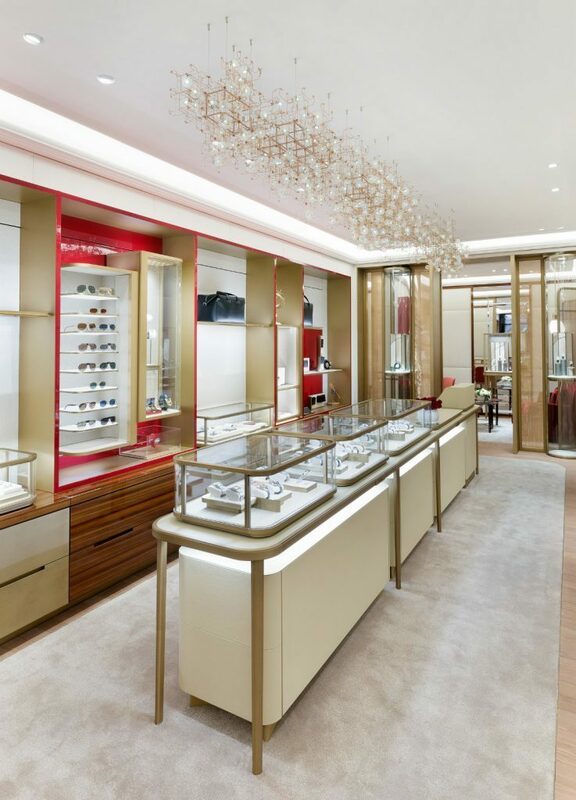 “For Cartier, it is most important to have the best boutique in the best place,” said Mr. Feniou. As a vibrant world capital with a rich heritage, London attracts a host of visitors and investors worldwide, and New Bond Street is a must-visit for luxury brand shopping. Cartier focuses on elevating its existing boutiques and customer service rather than opening new boutiques in London. There is also a Cartier boutique on Old Bond Street near the flagship boutique, which offers different features and complements the flagship boutique. It will be revamped and reopened in September as a location with excellent customer service. The boutique will provide repair, personalization and commercial services. These two boutiques serve different kinds of clientele. If customers prefer an exclusive and luxurious experience, they can enjoy it at the flagship boutique, whereas those who prefer a quick purchase can visit the boutique in Old Bond Street. Cartier’s shop-in-shop at Harrods, which is the biggest brand boutique in the store, has also been refurbished and elevated. In the revamp process, Cartier has maintained a balance between tradition and modernity, as well as between past and present. Cartier has worked closely with Bruno Moinard, the renowned Paris-based architect, and the best artisans around the world to bring the boutique to life. 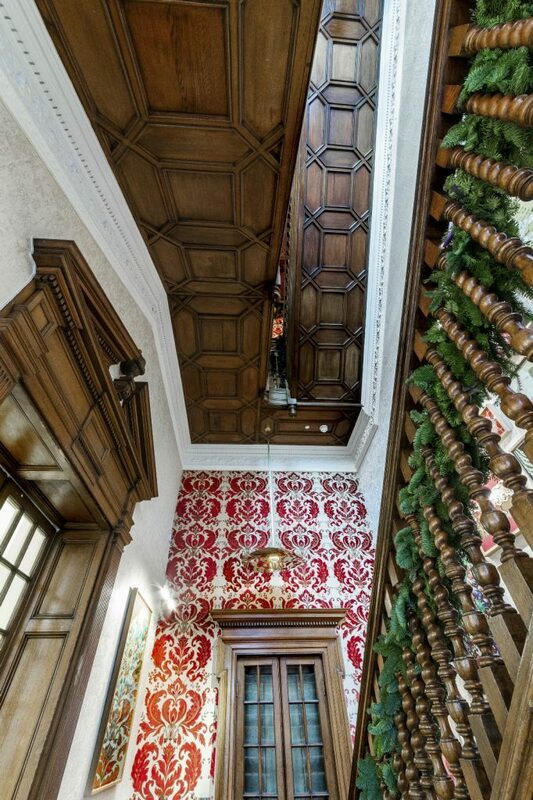 While contemporary elements and furniture have been introduced, many original listed building features and historical details remain, including the 19th century grand oak-paneled staircase. The flagship boutique is a perfect cultural mix of luxury, creativity and unique twists of Cartier style in London. The whole building was transformed into a retail mansion after offices were moved to Regent Street. The overall commercial space was expanded 4 to 5 times, while the ground floor commercial space doubled. The 1930s’ entrance on Albemarle street was also reopened. As described by Mr. Feniou, the flagship boutique is “more than a boutique”. It is a unique, luxurious and multi-dimensional customer experience. Dedicated to the commercial function, the ground floor is elegant and welcoming. The contemporary lighting installation is designed by Studio MYDRIAZ, inspired by the wide-brimmed hats worn by the ladies at the horse races. Main collections of jewelry, watches and accessories are displayed with style. In yellow shades and gold touches, the feminine area is decorated with curved furniture, light shades and corners, for a soft and graceful atmosphere. Two classic English-style VIP rooms are furnished with luxurious fabrics, such as velvet, wool and satins. The masculine area highlights power and refined design, with a country club-style VIP room. Coming to the first floor, “Prestige” is dedicated to high-jewelry and Tradition collections. Rare and spectacular pieces can be found here. From December 2018 to February 2019, the Cartier Collection is bringing an exclusive exhibition showcasing the finest Cartier jewelry creations all with a special connection to London. Among them, there is a jade belt made using coins from the reign of Chinese Emperor Guangxu during the Qing Dynasty. The rubies were set by Cartier London. On the same floor, the romantic Winter Garden offers a tranquil break and exotic vibe with an Asian-influenced folding screen. The Jacques Cartier Salon provides a fresh and contemporary ambience in a dynamic setting. Hidden secret cabinets also offer exciting surprises. 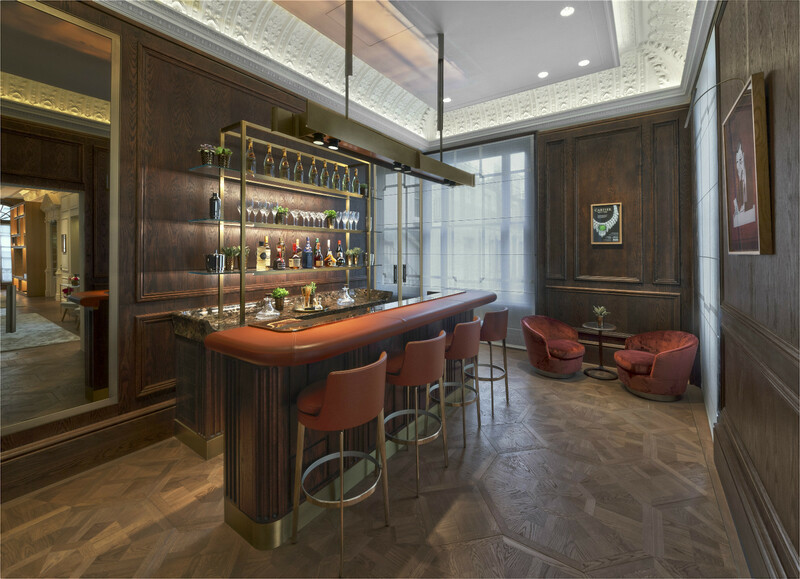 The third salon, known as the Charles de Gaulle salon, pays tribute to the legend that Charles de Gaulle made use of the Cartier premises while in London. The décor of this historical salon echoes the personality of the legendary general. Hidden treasure resides on the second floor. La Résidence is a private apartment reserved exclusively for Cartier’s top clients. It is a home-from-home, an entertaining space and an event venue. There is a fully equipped bar, kitchen, dining room and lounge area, as well as a shower and a boudoir-styled fitting room. Events and private gatherings will be hosted here in pure luxury. Cartier’s vision is to build a community by engaging clients and celebrating key moments in their lives. Since 1922, the EAW (English Artworks Workshop), which is located on the 3rd floor, has offered exclusive in-store services to customize or create special pieces. On the top floor, London archives illustrate Cartier’s history and key creations in the U.K. In addition to archival novelty displays, the flagship boutique also offers exclusive and limited-edition products. The historical Crash watch, has been re-created exclusively for the London flagship boutique. The Crash watch represents something special in the history of Cartier watchmaking. It was first created in the “Swinging London era” in the 1960s, featuring a bold and unusual shape that expresses the sparkling, carefree spirit of the era. It is an exciting piece for international clients, particularly for collectors. A magnificent tiara from the Tutti Frutti Collection has also been brought to London to celebrate the opening. Moreover, the iconic Guirlande de Cartier handbags are exclusively available at the three Cartier“temples” in London, Paris and New York for the month of December 2018. As of January 2019, these are available across multiple boutiques. Intimate salons and La Résidence provide exclusive services for VIP clients, who will also be invited to many occasions, events and cultural experiences. “We provide experiences more than products,” said Mr. Feniou. In addition to brick-and-mortar stores, Cartier also leverages technology to elevate its customer service. An omni-channel helps to provide a seamless online and offline customer experience. Digital tools also provide marketing channels and enhance the brand’s communication with clients, who can connect with Cartier for information and service worldwide through websites and emails. Markets and customers are constantly evolving. Apart from the traditional clientele, the new generation of consumers is also interested and educated in high-jewelry. Their mentality, aspiration and preferences are different. Cartier continues to educate a new generation of consumers, while maintaining tradition and its core value. “They may come in out of curiosity. We will make sure they come out dreaming of Cartier,” said Mr. Feniou. The London flagship boutique is one of the key hubs for Cartier to connect with clients worldwide. Cartier offers the services of a multi-national sales team. Apart from a language service, the flagship boutique focuses on a deeper understanding of customers’ needs. Chinese customers are diverse, with different levels of needs. The flagship boutique has adjusted its sales strategy to provide the best customer experience. Sales associates also frequently travel worldwide to connect with clients and gain better consumer insights. The Cartier Foundation recently hosted an art exhibition in Shanghai to showcase many of its masterpiece collection. This past weekend, Cartier has invited a celebrated London-based Chinese chef to prepare an exquisite Chinese dinner for VIP clients at La Résidence to celebrate Chinese New Year, and enjoy their key moments at the flagship boutique. Cartier’s London flagship boutique is an immersive, multi-dimensional and luxurious retail experience, far beyond a boutique. 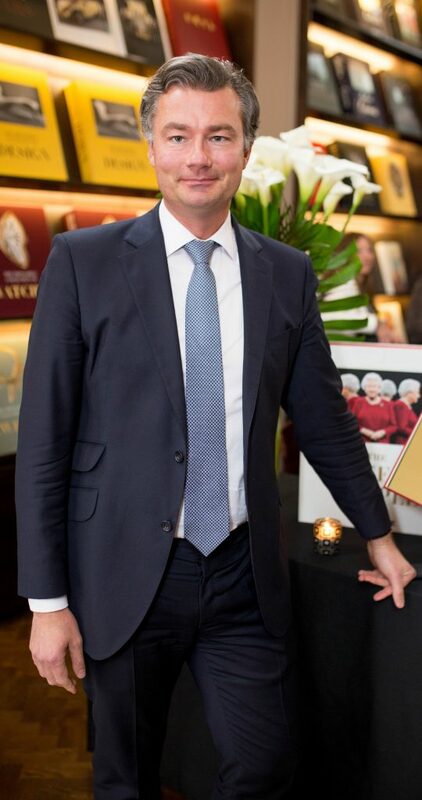 Laurent Feniou has been the Managing Director of Cartier UK for the past five years. Prior to joining Cartier, Laurent spent twenty years as an investment banker. Laurent joined Cartier from Rothschild where he was Managing Director in London. After graduating from ESCP (École Supérieure de Commerce de Paris) in the early nineties, Laurent started his career as a Navy officer at the French Embassy in Madrid. He then joined Credit Suisse First Boston and worked in London, New York, Palo Alto and Paris. Laurent is a French Foreign Trade advisor and a board member of his former business school, ESCP.